The majority of these books are being added to the circulating collection of Frost Library. 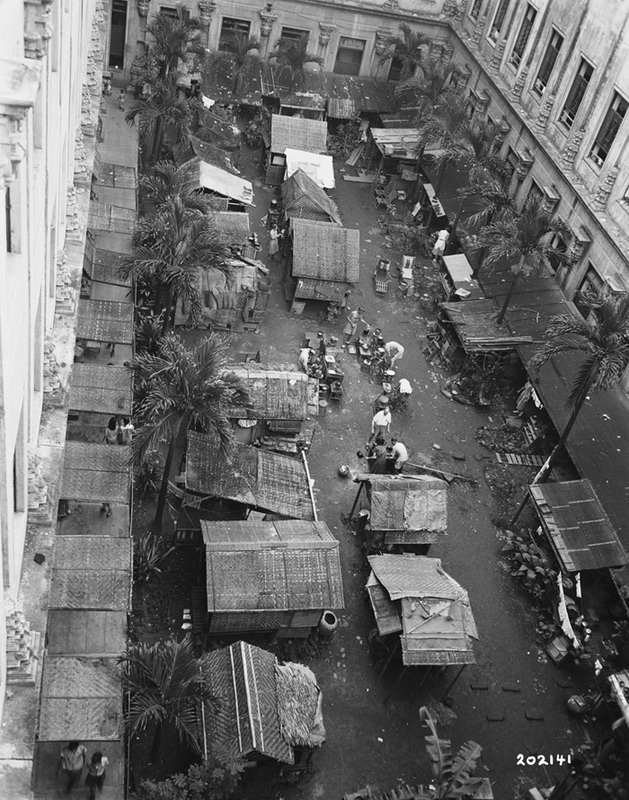 At the present time, over 300 have been added, and fewer than 20 have been placed in Archives and Special Collections due to age, scarcity, or fragility. Follow this link to see all the Dower gift books which have been cataloged so far. 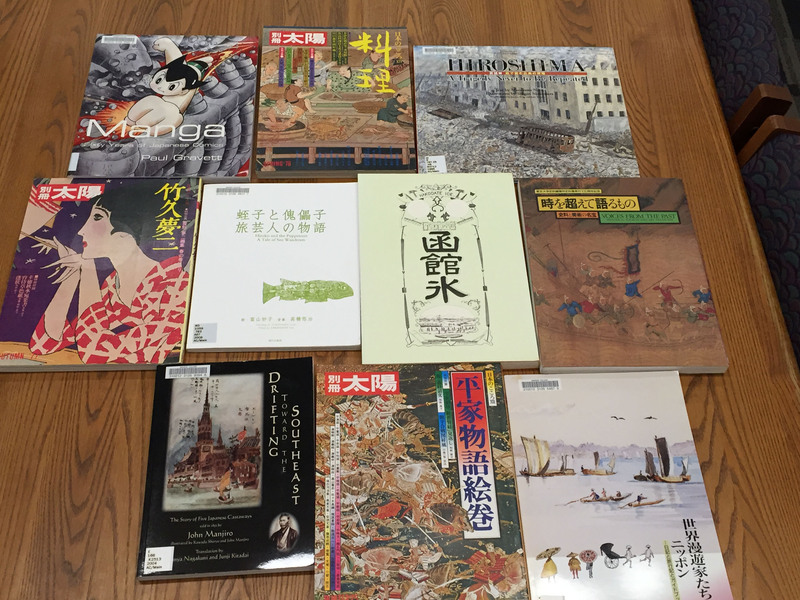 My heartfelt thanks go to Sharon Domier, the East Asian Studies Librarian, for all her excellent work on this collection. 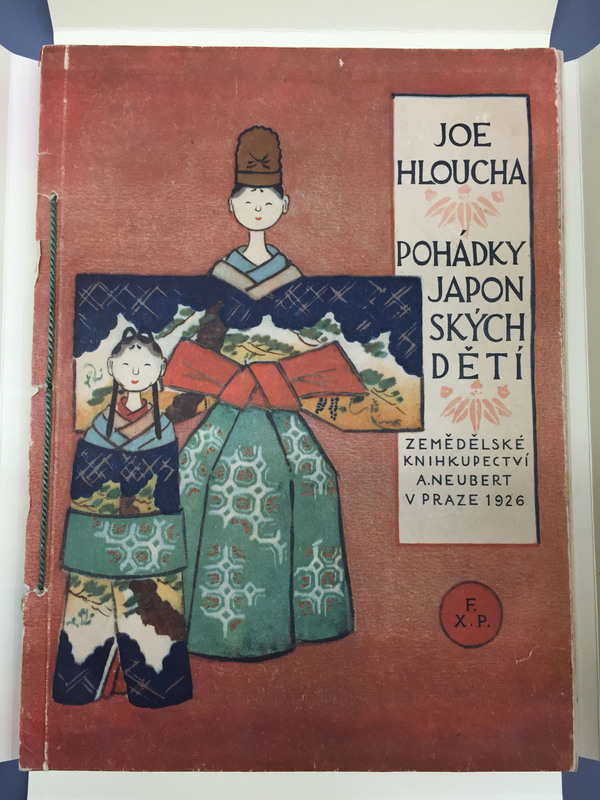 ¹Honcoopová, Helena, “Joe Hloucha – A Short Biography,” in Japanese Illustrated Books and Manuscripts from the National Gallery in Prague: a Descriptive Catalogue (Zbraslav : National Gallery, 1998), 12-14. The Howard B. Hamilton Japanese Theater Papers will be an extraordinary resource for the study of both Japanese culture and theater performance. It documents the frankly amazing avocational activity of an American medical researcher in post-World War II Japan who, over the course of 30 years, went on to become one of the leading performers on the noh stage – quite unusual for any non-Japanese. In a previous post I wrote about Otis Cary (AC 1943), “Amherst’s Man in Japan,” who worked with Japanese POWs after World War II and went on to represent Amherst College at its sister institution, Doshisha University, for several decades. 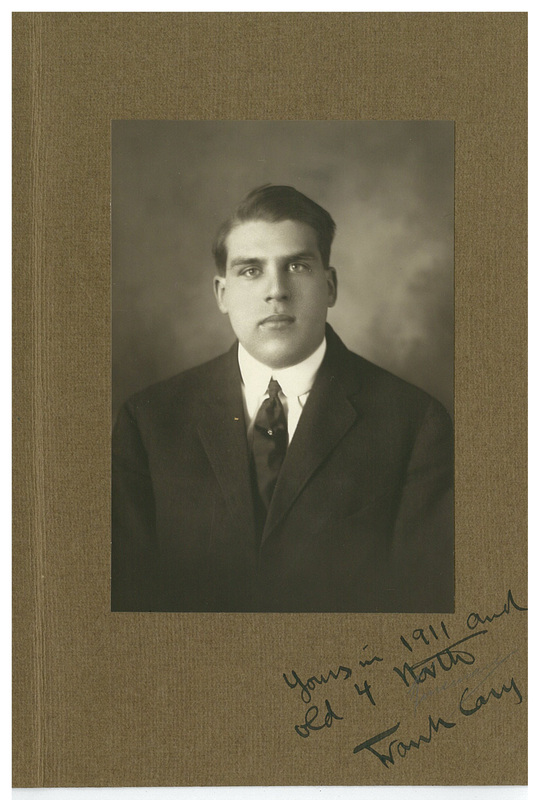 I’ve recently had an opportunity to revisit the incredibly rich and vast unprocessed collection of Cary Family Papers to discovered another story from the war, this time featuring Cary’s father, Frank Cary (AC 1911). Last week, Doshisha University President Koji Murata and Amherst College President Biddy Martin met to formally extend the already friendly relationship between the two schools that dates back to 1875. (See photos of the signing ceremony.) This recent event prompted me to look back at the origins of our relationship with Doshisha, and consequently at the founder of the University, Joseph Hardy Neesima. During World War II, whenever fellow Americans asked Otis Cary (AC 1943) where he came from, he felt pained to have to answer “Massachusetts.” It was a half-truth. Though the product of Deerfield Academy and Amherst College (the latter having also educated his father and grandfather before him), Otis Cary was born and raised in Japan. He always considered it his home. His family’s roots there, in fact, reach back to his grandfather Otis Cary (AC 1872), who arrived as a Christian missionary in 1878, a mere 24 years after the opening of that long-secluded country to foreigners. The younger Cary thus developed absolute fluency in Japanese — not just linguistic, but cultural. 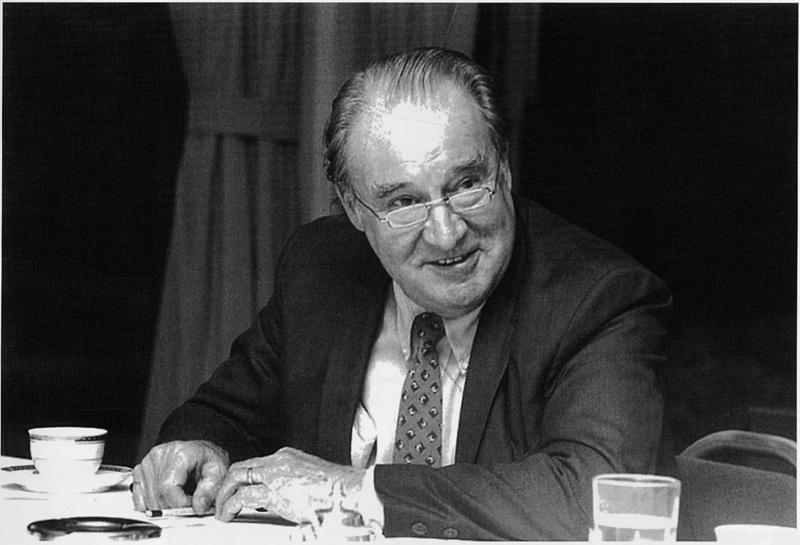 When he died in 2006, having served as a professor and Director of Amherst House at Doshisha University for 45 years (Amherst’s sister institution in Kyoto), he was widely considered one of the foremost American authorities on Japanese culture. 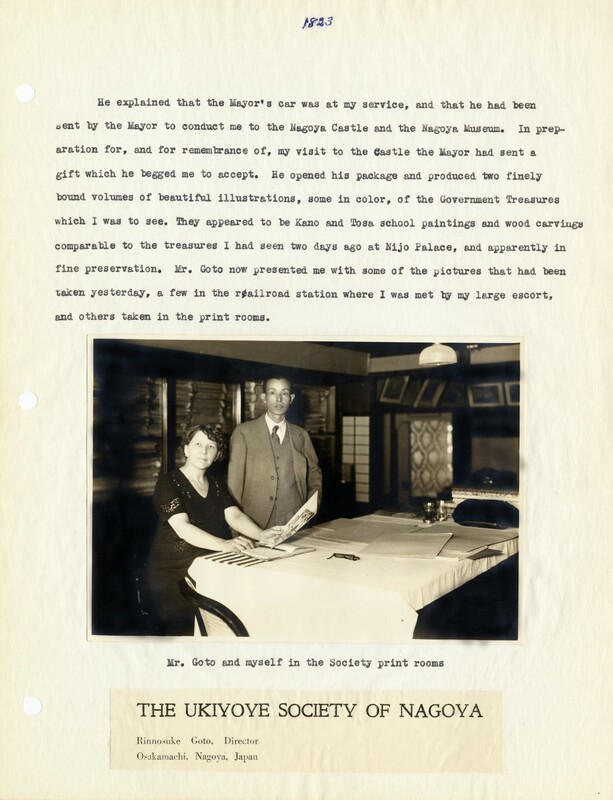 Between July 19th and September 6th, 1936 an adventurous art collector named Lilla S. Perry traveled to Japan and kept a diary about her trip. At some later date she typed up portions of her diary and correspondence, entitled it “A Treasure Hunt in Japan, 1936” and included many photos and pamphlets. She may have intended to eventually publish her story, or perhaps only share it with family and friends, but the unpublished typescript is now in the collection here at Amherst College. It was donated to the college in 2002 by William Green¹, a fellow art collector who had been acquainted with Mrs. Perry’s son, E. Caswell Perry.